Portsmouth Uni website, thought I'd drop you a line. time), that's gotta be worth a visit. got the best job, 2 weeks on, 2 weeks off, it's sweet. Living in Nottingham. going to a reunion or something. say hi to everyone for me. Pete Boyes. I am still working at Colchester Sixth Form College but am now head of environmental science here. I have expanded my trips here to include this July Honduras – not a geology trip but we took 18 students to work alongside scientists in the tropical rainforest. Geology trips for 2005/6 look to be Hawaii in October half term and then maybe Iceland at Easter. I have sent a few geology students to Portsmouth and one who is actually starting this October! 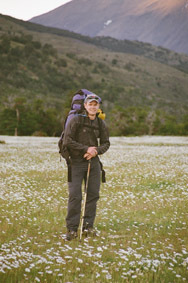 I keep in contact with Scott Cutler – he works part of the year in any job then goes travelling for the rest! He is currently travelling through central America and sent me a card to say that he is thinking of doing a PhD in volcanology! He can be contacted via his parents in Wales still. Stephen King lives in Portsmouth and works for the inland revenue. Hope you are having a good summer! I actually have 3 weeks free this year, which feels very odd as normally I am away travelling for the whole summer holiday! How are you? Been meaning to e-mail since xmas! Dept. Good luck in your new ventures. all about taking part with me. Anyway hope all is well with you. I am sitting at our open evening for school having a treasured quiet moment and I was updating my twitter account @andypascall and linkedin account and thought I would look up a few names. I have a number of specimens out in my classroom to entice the prospective Year 7s including some coral, lava from Iceland and a big lump of Amazonite I carried off a Norwegian mountain top with Jason Wilkinson! I like, many graduates worked as a mud logger and like Dave Rayner ended up in Angola and decided to quit. As some of you also know I manged to fall off the Jungfrau in 1993. I worked for Prudential for a while, moved companies a couple of times and got made redundant a couple of times. When I was getting married I did a fill in job before retraining as a Geography Teacher! I have now been at Langley Grammar School for 10 years and I am now Head of Department, Head of Year 10 and 11 and I am DofE Manager, so school is getting their two pennies worth! I am married with three kids, Ed in Year 8, Chloe in Year 5 and Imogen in Year 1. We also have two mad pugs so life is full on. Hope to hear from a few graduates of 1991.
provided proper safety and survival equipment. That was the end of that job. supporting the equipment and software. everyone else was made redundant. Hydro-geologists, MinEx Geologists and Oil industry Geologists. try to pop in to the department on my next visit. we tormented over those fine 3 years! Things are good. I'm still in shock that it's now over 20 years since I started at Portsmouth but it's been quite a ride until now! My profile is quite a limited view of all that I've been up to, and all the places I've visited, but feel free to use it and any other news in this email. (Six years in oil industry working China, Malaysia, Singapore, Australia, Africa, Yemen etc, etc. Worked as an IT Consultant and Software Architect for a consultancy in London for three years. Started a software development company in 2002 with a few friends. Sold the company in 2007. Now working for a media company managing a software development team. It's been a fun few years! 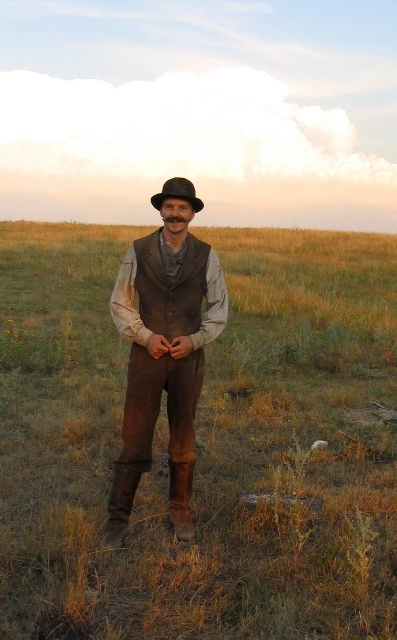 The only thing I regret is not being in the geology business for all that time - I always thought it would always be my main business, but i guess that software engineering was always one of my strengths. I've done a lot of programming, but currently web development is my main vocation. On another note, I'm finally getting married this year, the day before my 40th birthday! It's something I'm looking forward to more than anything, but it does take a huge amount of time to plan! Hope things are well with you! If you see any of the other fine lecturers at pompey over a pint of ale, send my best wishes. Oddly enough, I was having a pint with a lecturer from Kingston who knows John Whalley well. There is always a connection no matter where you happen to be. Take care. Perhaps it's time to start thinking of a class of 91 reunion! Things have moved on at a frenetic pace again since I last emailed you mid-year. I am still heavily involved with providing consultancy to a US signalling telecoms provider who are the sole vendor for signalling equipment to the Orange mobile network. At the moment the signs are that this role will expand in the new year, as I take on the position of European Customer Services Director, responsible for technical support, program management, installation and customer account management - in other words no rest for the wicked!!! After going through the rigmarole of trying to purchase a house, including one in the Forest of Dean, I have this past weekend moved into a 4 bedroom property in Pembrokeshire, in a place called Freshwater East (opposed to Freshwater West where the field trip used to go). With only 25 miles of single carriageway road, it is well served by fast roads and motorway, but is lovely and isolated. The view from my office now is to the south over Freshwater Bay with Lundy island looking like a whaleback in the sea. To complement this, the view from the back is out towards the Presceli Mountains with the Ridgeway acting as a visual break in the foreground. Geologically speaking, Freshwater Bay is cut into an anticline exposing the older Silurian rocks overlain by Devonian sandstones and towards the west (2 miles) the Carboniferous Limestone. Therefore, in my freetime (if such a thing exists!!!) I intend to get to grips with mapping this and other structural features of the area. Other than that, life moves on! Wishing you and your family a very merry christmas and a prosperous and healthy new year. Good to "hear" from you. I am an Environmental Protection Officer with what is now Cornwall Concil (formerly Caradon District Council) based at Liskeard. I live in Plymouth married with two lovely children (well they are sometimes) Max (10) and Gaia (6). We moved down here from Farnborough (HANTS) in 2003 - I was a house husband for 3 years before getting a 3 month EPO job with Plymouth City Council then getting my current permanent post. (I say permanent - we are going through a reorganisation at the mo following on from Cornwall having to go unitary, it's quite possible I will be becoming more specialist - possibly in the area of dealing wwith the Council's duties regarding "contaminated" land). Hello Brian, glad to see you looking well! I'm living up in Edinburgh and I'm still working offshore in the Norwegian sector - a very civilised schedule, normally about 130 days offshore a year. I'm at home for a few weeks now so I'll look out some pictures to scan from Brittany and Cyprus. I'll try and get something down on email for the careers page. cheers Ian. Hope this finds you well and apologies for a real lack of correspondence in 2006.. a hectic year in Aberdeen and just about settling.. Was a great summer and we went off to the Scottish mountains for a few days in Sept.. a trip back to Bpn in Oct and going down to Stafford for a few days at Xmas. Will get a MSN account opened up and add some pics in the new year… Hope to keep in touch… cheers Andy, Lia and Thomas ..
Country Manager UK, Denmark , Holland . Mud Logging Sales Engineer - Asia District. No 189, Jalan Tun Razak, 50400, KL, Malaysia . After leaving the department in 1992, I took a year out of geology and worked as a language teacher in Lugo in Galicia, Spain. I'd learned Spanish via a course offered by the department during our first year at Portsmouth and consolidated that skill whilst carrying out field work from Salamanca University. I started working for Halliburton SDL from January 1994 and was assigned to Africa. During my time in Iberia I also taught myself Portuguese and it wasn't long before I was transferred from an initial assignment in North Africa to work in Angola. I remained there for the best part of ten years, principally contracted to ELF (I was on the ultra deep water Girassol project when they hit the jackpot in 1997). As things changed with time, I worked for the most part as the supervisor on board. I was their only ex-pat crew member for some time as we took on the policy of Angolanization enforced by the government. I worked also for Texaco near the mouth of the Congo river, out of the town of Soyo. I also worked in South Africa during 1999 for Mossgas (now PetroSA) and a handful of temporary assignments to Gabon, Ghana, etc. Politics began to cast their influence from 1998 as Halliburton had bought Dresser, the holding company of Sperry Sun, leading to a merger. From 2000 I worked for Sperry Sun in Cabinda, an enclave of Angola just to the north of the River Congo. Thereafter I was transferred to South Africa again and finally to Kazakhstan to work in the shallow zone in the northern Caspian Sea until about 18 months ago I took redundancy from Sperry Sun. Outside of the work, I have spent almost all of my leisure time following the England cricket team and I have visited all of the test playing nations at least once in the last 11 years or so. The most recent addition to that list was Bangladesh in 2003 - which was fantastic. I have been residing permanently in Cape Town since January 1996. I own a house there in Sea Point, near the beach, so I commute to the cricket from there. It's a Victorian cottage and I carry out my own restoration of it. I more recently made plans for investments into a plantation project in Sri Lanka, but that was scuppered by the Tsunami. Because of that I may still do some geology work in the oil business in the future, but nowadays in my own time and at my own bequest - like contract work. It has been a long time. Extraordinary how the time gets away from you, particularly when you're kept busy and as we are (all) getting older.. I received the phishing mail, via your address, whilst in Sri Lanka. We can say that I'm here on holiday, but I've spent a lot of time here over the last ten years. It started as a cricket thing. Otherwise, I still maintain my home base in Cape Town, from where I've been commuting to northern Mozambique, for the last four years, working on a deep sea gas exploration project for Anadarko Petroleum Company. I'm working on-call as consultant well site geologist, specialising in wireline supervision and formation evaluation, in this case contracted via STAG Geological, with whom I know you are familiar. but it means you are safe and well at home and not left stranded in Istanbul, or somewhere. Accordingly, I hope this message finds you and your family well and in good spirit. Always nice to keep in touch, and to re-kindle very fond memories. Hello Brian, good to see you on the computer screen after all this time, it's nice to be remembered. I'm working on the rigs in the North Sea at the moment, not as a geologist but as a rope access supervisor. I've been doing rope access since I left you all those years back & I've been on some brilliant jobs...the Eden Project, Canary Wharf, the CN Tower to name just a few. I've worked with Stu Pugsley in Hong Kong & Dave Parker too. I still love the rocks though, found some post-glacial landslides to explore nr. Bleaklow in the Peak District not long back, they got me thinking and they're still baffling me a bit. Infact, now I think about it I've just returned from Brittany, not far from where you sent me for my final year project. Just counting the days before I get off this rig & return to the hills. might have some more news on that front next week!! appreciated. Do you hear from any of my year Geologists? have any details about them? Hi Brian hope you had a fantastic break. Saturday and she accepted. We will be getting married next summer. It is wonderful to hear from you. Yes I actually came across the website over the weekend and was meaning to write to you to tell you how I am doing. I have just started a one-year sabbatical at the University of Tuebingen in Germany. After 6 years at the University of Regina, it is a pleasant change. I love the old medieval city here and the people and my colleagues are great. Once I have mastered the language I am sure it will be easier to fit in! Anyway, I now have a permanent position of 'Associate Professor' in Canada - which I think is equivalent to a senior lecturer in the UK. I teach a variety of courses from 2nd year Mineralogy, Crystallography and Optical Mineralogy, to Igneous and (sometimes) Metamorphic Petrology. I have also taught the 1st year (large enrolment of >300) class - Environmental Geology, which is essentially Physical Geology with an environmental spin. I have to thank you and all of your great colleagues in Portsmouth for the good solid geology background given to me, during my degree. I don't think I could have managed to teach such a broad spectrum of classes otherwise. Actually, I am really looking forward to returning to Canada next year, as I am co-organising a geology field trip to Colombia - a country I have yet to visit. We are hoping to combine Volcanology and Stratigraphy/Palaeontology in the 10 day trip, so it will be a lot of fun. In the meantime I am really happy for my year in Germany and the chance to work on rocks from the Gardar Province of southern Greenland again. I also hope to make a return visit to Mt. Etna, as I have had some students working with me on a number of projects over the last 3/4 years. It is a beautiful place. Lastly, as I am pretty close to home, it would be great if I got the chance to return to Portsmouth. It has been many years since I was in the Dept. and I have heard about all of the changes to the City and University. Hopefully, I will be able to squeeze this in sometime during the year. Best wishes Brian, and thanks for maintaining the website and contact. Hope to see you again one day soon. who did sed and strat. Gosport and the IoW, and I could even see my old flat on the seafront. Many thanks for the email and for forwarding it on, really appreciate it. This is just a quickie, will write when I have more time, although these days that seems very seldom! Very strange to be back in UK and can't wait to get back out to New Zealand. Yes, I've been working there for the last 2 years now. Couldn't get visa through either my geology or oceanography degrees but was sponsored through hospitality trade, believe it or not. very very dull on the mind, but if it keeps me out there, what the hell! Hope all is well with you and you're still enjoying retirement. thanks brian - nicky emailed me the same message - hopefully i'll be able to go up to meet her for a few hours - will be nice to catch up! i start at miltoncross school this thursday as Head of Science - how daunting? all i know is that the science dept did rubbish in this years gcse results, so there's hope for me yet! the school is so unorganised that i dont have a clue as to what i'm doing on thursday - i only know i start then because someone told me unofficially! maybe the new headteacher will start kicking some bums as he's new the same day as me. just hope he doesnt kick mine! Tell you the truth, i've been so busy at work, I'd forgotten about the website. what's the address again please? As for me at work - to keep you updated so you can add the info - left Warblington School in Havant in summer 2005 to start at Miltoncross School in Portsmouth for Sept 2005 as Head of Science. Manic job - a dept full of newly qualified teachers, all the schemes of work needing updating and re-writing, policies and procedures to put into place etc. Seem to have done ok at it - we'll find out on results day! I've moved house so as to move in with my other half Christine. Now living in Anchorage Park in her house whilst we search for another mansion to live in. One of my student teachers this half term has just finished her palaeobiology degree, based in the dept! small world eh? she said that the 'old' dept as we know it has moved out from burnaby! i think she had some of her facts wrong somehow! she spoke of Mike Barker being that 'big godly type head of dept' type figure! ha! I told her some stories to correct that story. Pete Hall's son is living in a house in Southsea with an ex colleague and a (now qualified) student teacher who worked under me at Warblington. the world is getting smaller! Christine and I popped down to Cornwall for 3 nights at the start of last half term. we stayed at the posh B+B 'Rosario' at the end of the causeway over to St Michaels Mount - our window view was amazing! we strolled over to the Mount, but, as I hadn't seeked permission in the weekday before to go on the foreshore, they wouldn't let me on it, despite my pleading! so we went up the Mount instead - amazing views again, and a perfect one of the foreshore. How I wish I was still working on it doing my dissertation still! memories......! Happy new year etc to you and your family. I hope you are fine and in good health after your recent-ish 'un-healthy scares'. I got engaged to Christine last August. She's a Deputy Head of a local Portmouth Junior School. One day we'll plan a wedding! I moved out from my house in Baffins last May and now live with Christine in her house in Anchorage Park, in Portsmouth. One day, when we find the 'ideal' house, we'll move! Feel free to post my school info etc onto the website. I hope everything is all well with you. I'm certainly busy - my daughter is now 11, Harry is 3 and a half, and Max is one next week. I've nearly finished my Masters Dissertation for my MA (Ed), and have a job interview on Friday (promotion hopefully!). Who needs sleep eh!? I hope you are well and fully rested after the Christmas break? interview and the rest is as they say academic. foreign travel which is good. to be ex-employer has already done that. I need to give the names etc. of the Internet and will pass them to LRQA if that is ok. with you? Hope you are OK. Lovely to hear from you. I am working for a private company called VT Careers Management Southern funded by Connexions. I have missed Geology so much but as you know I wasn't good at it. I hope one day I go back to it. I am hoping to emigrate to Canada with my husband and my daughter who is 6 . Hope to see you sometimes. It has been so very long since I have been in contact with you and I do feel extremely remiss. I have been living and working in Bergen since December 2004 - having taught in Guernsey for a year and 8,5 years at Loretto in Edinburgh, followed by 2,5 years doing geology tours in Mull. I taught at the International School in Bergen as Head of Science and also taught maths (teaching alongside Katy Penny - from Alvøen), but left last year due to a very unhappy atmosphere at the school; many others have subsequently followed me! I am now working with a Scot married to a Norwegian, restoring old buildings. I started the Bergen Pipe Band and we are 18 strong now and are kept very busy. I am a co-founder of the Bergen Scottish Society and we also have a good amount of activities throughout the year. I am hoping to marry my Norwegian girlfriend soon and in due course spend time both here in Bergen and down in Normandy where I still have a home which I have restored from a ruin. Are you ever in Norway? It would be so nice to see you again! I still remember how much you helped me whilst at Portsmouth and I am so very grateful for all of your kindness and encouragement - especially during the year that I had to retake my exams - whilst teaching full time at Rannoch School! If you ever are here in Norway - or wish to have a free holiday in Normandy, it would be great to see you both. My home in Normandy is available for large parts of the year and I would be delighted if you would like to stay there for free. Mum and Dad have their home just across the farm track. It is only 1 hour from Caen - Ouistreham (Ferry terminal) and is in beautiful countryside. Mum and Dad now spend most of the year in France, though still have our home in Mull - where they return to several times in the year. I do hope to see you again and hear from you in due course! Do you have any contact details for Mike Ryan? I'm really enjoying the work. is hectic -especially in comparison to Harare!!! Australia at the mo on a 4 month jolly with the Oz army! both well and enjoying life. finally managed to clamber up the sides of a REAL one - WOW - WOW - WOW!!! in Portsmouth on Tuesday - will you be around? suddenly found study easy and enjoyable and wow-ed everybody. demonstration suiting him down to the ground. That is about the extent of my knowledge of your past tutees. Straight after Pompey I did the MSc in Petroleum Geology at Imperial. I came out in 1994 and joined the ranks of the underemployed geologist. After 9 months of working in the back office of an investment bank I obtained a job as a technical assistant in the Petroleum Services Group of Arthur Andersen (now Deloitte). I had been offered a job mud logging up in Aberdeen but they wanted me to sign a contract that if I left before 4 years I would have to pay them £5,000! Walked out of that one! The team at Arthur Andersen was a strong techno-economic consultancy who undertook a lot of commercial analysis and valuation of field and companies plus consulting work. I worked my way up and by 1998 was running the European team and as the business underwent a major expansion I set up the business in West Africa notably Angola. After that was up and running I was then sent to set up with the office in South America so I spent quite a bit of time in Rio de Janeiro and then Bolivia. After that I went into merger and acquisitions for a specialist Canadian oil and gas investment bank (boo – hiss!!). That was an experience. As well as the usual North Sea stuff I spent quite a long time down in South Africa and Mozambique working to finance and find partners for the project to export Mozambique gas to South Africa. For most of this I was predominately doing commercial and financial work (sorry guys!). Well just about when I got to the point of decking one of banker types I was poached by IHS CERA to come and set up a new ventures and advisory team for them. That was most interesting work with client base being a mixture of European independents, Asian national oil companies, Middle Eastern money and gas companies. This work took me all over Europe, the Middle East, India and NE Asia including spending a fair bit of time in Beijing. The type of work varied from early cycle (exploration and appraisal so I did quite a bit of geology there) to aggregating undeveloped gas together in West Africa to create a liquefied natural gas project. IHS also did a lot of work for institutions such as the World Bank and governments. The governmental work was mainly about advising and drafting upstream fiscal and contractual terms. This took me back to Mozambique, Suriname and Barbados (enjoyed that one!). After nearly seven years at IHS CERA I did a job for Statoil at the end of which they invited me to join them. For Statoil I was the commercial manager responsible for the US$1,000 million bid for 5 pre-salt licences in Angola (that took stress to a different level!). The pre-salt in the South Atlantic (mainly Brazil) is most interesting; it’s producing oil from stromatolites (i.e. Tiger Bay, Oz). Despite what anyone might say the discovery of this enormous play was entirely serendipity– I know the geo who found it! Currently at Statoil I’m the business development manager for Europe and Asia-Pacific. This has been most interesting working which has covered the more conventional North Sea stuff, Floating Liquefied Natural Gas project in SE Asia through to unconventional (producing gas and liquids from shale). I’ve run a number these unconventional projects which have been really interesting but it does require you to revise at lot of your previous thinking regarding petroleum geology. It might seem rather stranger but I am the only geologist in Statoil’s front line business development team. So, hope all well at the old place. 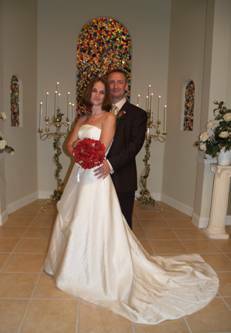 We had a wonderful wedding day despite the fact that it rained terribly! you managed to pass it on to everyone else. try to summarise as best I can. really enjoying it, despite the early starts and daily commute to Soho! would love to catch up with everyone soon so I will drop Jo an email. Please welcome our lovely daughter, Amélie Jane Summers. Born 17:50 on Wednesday 13th October 2004. Weight 9 pounds 8.5 ounces. Both mother and baby are doing well!! letter to tell you all about the last 6 months in my life! that's good. Time just flew by so fast, 3 months just disappeared. with very hot days and sun. something to do and the job keeps us all very busy. T'hats about all for now. Petrel - Understanding the subsurface. If I get any more I shall forward them to you. things in life I am prompted to make contact for other reasons. need an academic reference from yourself to attach to the application. realise university funding is a very valuable commodity. form is attached and I will state my contact details below. business world by doing an MBA. are all still in Portsmouth so you probably know more than I do. to be doing very well for themselves. the MBA and I am really looking forward to the challenge. Japan this summer. I need to get away to go somewhere cooler! September (Supercontinents and Earth Evolution Symposiums). I hope you are in good health and enjoying life? Very good to see you are up to date with the latest technology!! As for me, well I am fine and enjoying life. 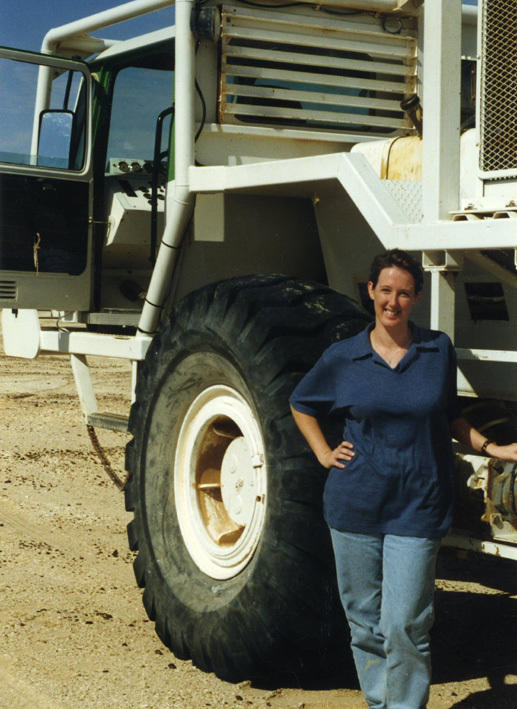 I am still living in Perth, Australia and working for the Geological Survey of Western Australia as a senior geologist. Times are exciting as the government has been pumping a LOT of money into the survey in order to stimulate the mining industry. We have money to do pretty much any research we like. This year we have a deep seismic survey being run through the Gascoyne Province so that will keep us busy for the next couple of years I am sure. Heather Howard is still here and is doing good things in the Musgrave Province. copied this to Ben's email, who I haven't spoke to for some time! work in the UK and the EU keeps us busy. end up being a dustman. Now I just provide advice on managing waste! being built under the Government's Private Finance Initiative. construction. Hope you don't feel too downhearted by it all though. Brian. Thanks for the email. Hope you are keeping well and enjoying retirement. By way of an update, I’m still with Bovis Lend Lease, based in Harrow, although I’m now in charge of a team of 5. I also achieved my Chartered Environmentalist Status last year with IEMA. Work is still varied. In January 2006 I spent a week all expenses paid in Brazil looking at forests and plywood manufacturing facility used by one of our concrete contractors. This was fun but not typical work! When not in the office I’m out visiting our sites around the UK from Helston in Cornwall to South Lanarkshire in Scotland. I’ve also had some involvement in the Olympics programmes which need to be built in the next few years. Plenty to keep busy with!! I was just in Portsmouth last week for the first time since our reunion in 2000, at the Naval base for one of our military contracts. We’re also looking at a redevelopment of the former Tricorn Centre at the moment, so it’s possible I might be visiting the south coast again regularly quite soon with any luck. Still using some of the Environmental Geology – the site looks like it might be contaminated! 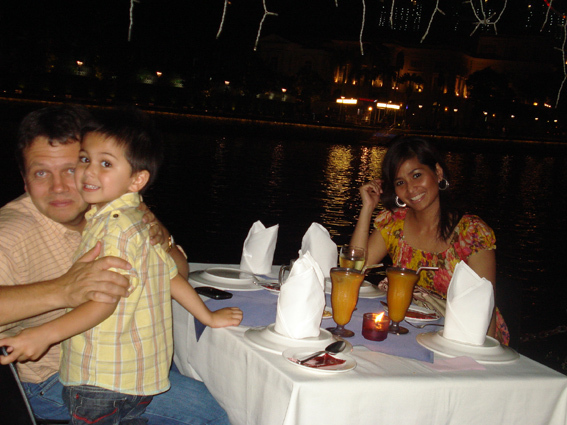 On a personal front, I got married in 2003 to Gill and we had a son (Nicholas) on January 1st 2005. He was born 2 months early, which was a bit of a shock at the time. I’ve attached a photo of us on holiday in France. We’re expecting No 2. in mid February 2007. We moved to a 3 bedroom house in Tring, which following an extension is now a four bedroom house – just in time for the new baby! I am still in touch with Chris Rolfe, and see him every few months (we have a large construction project in Cambridge right now, and Chris’s department is adjacent our site). He and his wife Emanuella who live in Ely are godparents to Nicholas. Have lost contact with the others for now – especially Ben Manning who seems to have vanished! graduated from my year i.e 1994? Environment Agency as well as various Councils. fieldwork and labwork...EXACTLY LIKE THE AEG COURSE!!! The Fens. Also in May this year I am getting married to an Italian in Rome. fellow AEG-ers from my year. the fellow 1994 AEG graduates. "Hi Brian, yes I'm in Brisbane and enjoying it. Luckily we weren't affected by the floods. Work is busy and I'll definitely post something on the Portsmouth website. There is a demand for geos out here at the moment, do you know of any looking for work? Pleased to hear you are keeping well!" Better fill you in on all our news before i forget. We recently moved to Ireland as my husband got a job at the Lisheen Mine with Anglo American. You probably know but it is a lead zinc mine and they think it is a MVT deposit. There is a possibility that i may get some contract work at the mine and so am having to start brushing up on my sedimentary notes and MVT deposits. If you have any information available to email it would be gratefully received! Or if you know of any good geological web sites that are informative rather than just basic and general then that would be great too. I remember covering MVTs when i was in portsmouth - but to be honest it is all a bit of a haze right now!! Mike Ryan would be cross! On the personal side our daughter Jessica is fantastic - now 5 months old - born 5th Jan. Cant believe how fast the time goes! maybe even short stints back in Africa - will have to see. where others from my year are working? Would love an update. Marketing dept was split and I am now in the Sales dept. So now I have been with Veritas for 10 years...... time flies! there visiting our crews whilst I was living and working in Abu Dhabi. So sorry I have taken so long to reply to your message on my wall. I am doing well and am currently 'celebrating' 15 years with my company (now CGGVeritas). I decided to have a change of direction in 2007/8 and did a Post Graduate Diploma in Marketing Communications with the Chartered Institute of Marketing in London. Took me back to my Pompy days as I had assignments and lots of 3 hour exams!! Was worth it as I moved from Sales to an Internal Communications position ... which I really enjoy. Thanks for your email, it is good to hear from you. 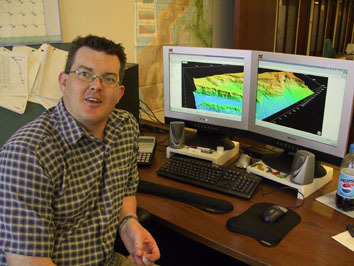 Since graduating in 1995 (BSc Geology) and then again in 2000 (PhD), I have been living in Perth and have worked for the Geological Survey of Western Australia for most of that time. I’m a senior geologist in the Regional mapping branch and I am working on the Proterozoic rocks of the Musgrave Province (central Australia – about 200 km west of Uluru (Ayres Rock) I love the contrast of working in the desert and living by the ocean but apart from that the Musgraves is a geologically interesting area. We have mapped a variety of rocks from high grade metamorphics to large mafic-ultramafic intrusions (part of the Warakurna large igneous province) and their potentially associated volcanics. I am also continuing my PhD interests, although not in Zimbabwe, but with the mafic geochemistry of the Warakurna LIP. On a more personal note Jonathan Howard (BSc Geology graduate – 1999) and I have been married for almost 10 years and we have a 3 year old daughter. Jon works as a resuscitation educator at one of the main hospitals. We are both currently working part-time so we can keep the life-work-fieldwork balance. have made the place look a lot different. this career will last a little longer than the previous attempts). Great to see you are keeping the contacts going and I hope retirement keeps you busy and well. I’m betting you are missing those geology trips ? I must admit I really miss them and am so jealous of all the graduates who have found jobs that keep them in the field. After Portsmouth I spent a year at Keele taking a Masters in computing for Earth Sciences, then went on to a Fina sponsored PhD at Imperial mixing Structural Geology with computing. I became something of a geek (if I wasn’t one already) cramming my head with computer jargon and writing software for all sorts of geologic problems, structural framework modeling, fluid flow analysis, ray tracing, etc. and stayed on at Imperial till 2002 as a post doc writing mostly visualisation codes to help the research groups see pretty pictures of their results and building up the EGTTC which I hope is still going – it was a training centre for mid-career people in all aspects of petroleum exploration. It was very challenging but also very rewarding and I was lucky to continue working with exceptional colleagues. In 2002 I felt the pull of industry and joined Schlumberger. Initially in Gatwick and the last 2 years in Houston, I have continued in development writing the next generation of modeling tools and depth imaging codes which will begin to go commercial in the next few years. I’ve been managing and building a team for the last year ready to catch the upturn in E&P making my free time evaporate even further, juggling people politics and learning as much about new technologies as possible. I’m still enjoying it especially because the ‘old grey matter’ is still racing but I must admit I am looking forward to the day I retire at 40 !! I can go look at rocks again although I’ll have written a virtual world by then so I don’t have to brave the bad weather ! Still trying to find enough time to play golf, and my girlfriend keeps dropping hints about marriage but I somehow manage to remain that ‘rabbit eyed’ 19 year old staring inquisitively ahead at life wondering what to do next. Do keep in touch, its great to know you and all the Portsmouth crowd are well and making waves wherever they go. After leaving Portsmouth with my BSc Geology in hand, I headed to University of Leicester to complete an MSc in Mineral Exploration. I completed my thesis in the Southern African country of Botswana on Cu-Ni mineralisation and little did I know at that time I would spend the next 7 years living in Francistown, NE Botswana. After completing my spell with Falconbridge Ltd, I joined a small Canadian junior for a year on gold and base metal exploration before joining a small Australian gold exploration company, Gallery Gold Ltd. In early 2004 I left Botswana finally and moved to Mwanza on the southern shores of Lake Victoria in Tanzania to work on the Lake Victoria Goldfields, still with Gallery Gold. I met my wife (a British Primary School Teacher) in Mwanza and we spent many great holidays and adventures in the Serengeti, Ngorogoro Crater and Zanzibar before getting married on the shores of Lake Victoria in July 2005. A fantastic day with all our families travelling out from the U.K and so many great friends from Mwanza present. I left Gallery for a career break and to join my wife whilst she taught in Kampala, Uganda. Itching to get back into geology I set myself up as an independent consultant for mining and exploration companies through southern and central Africa and have been working in Tanzania, Botswana and in NE Democratic Republic of Congo (darkest Africa!). After nearly a year, we decided to leave Uganda and head back South across the Equator to Lusaka, Zambia where I have joined a mineral exploration and hydrogeological consultancy group as GIS and Data Manager. Incidentally the company is owned and run by an ex Portsmouth Geology graduate, Julian Green (1991). This year will mark a bit a milestone, having now been living and working in Africa for the past 10 years (nearly a third of my life which is quite scary!). We are quite settled, neither of us ready yet to move back to the U.K, to the cold weather and rain. 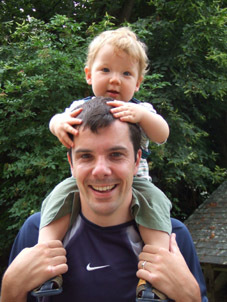 In January 2009 we celebrated the birth of our little boy, Sebastian, who is not so little anymore, but is great fun. We are currently based out of the UK for the next couple of months. I am working as a Consulting Geologist for an international mining/mineral exploration consultancy group on a part time basis, spending a lot of time in Tanzania on a uranium project. year but i think she' s having a bit of trouble with immigration. relate to my degree. Hope all's well in the geology department. Thanks for the photo - I recognise most of you. Hope you are keeping well. It was lovely to see Sarah and her family at Natalie's last Saturday. We all had a lovely time catching up on what we've been up to. I email Melissa in Australia quite a lot and she is still enjoying working out there. We were going to meet up when she was visiting England but I was in labour with Naomi so it didn’t happen. My two girls keep me very busy. Sophie Jade is 3 and Naomi Amber is 3 months. 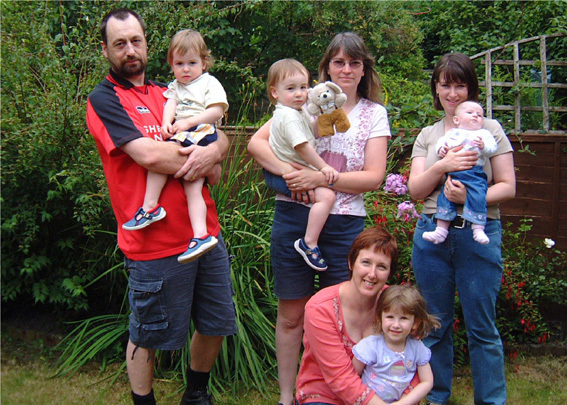 Sophie was born with a rare illness - Ehlers Danlos Syndrome. She is double jointed and has a general development delay in everything. We have had brilliant help from doctors and specialists and she is now making good progress. She is very easy going and her difficulties don't seem to bother her that much. Naomi is also doing very well - she even sleeps through the night now. I will go back to work part time in October as a Planning Technician for Mid Beds District Council. I really enjoy my job and spending half the week working and half the week with the girls is ideal. We are going to Cornwall for our holiday in a couple of weeks time - looking forward to it. Must go. Take care and keep in touch. grabbing any training opportunity even if I didn't really need it! legislation has come in recently! in Oceanography (1995-96), specialising in Marine Geology and Geochemistry. Veritas in the capacity of an Offshore QC-Project Geophysicist in Jan 1998.
at some point, as it seems to have been doing every few years. Well I graduated in 95 and applied for many Geology jobs near and far over the course of an 18 month period. I had a few interviews but nothing ever came of it. Initially of course I was expecting to get something in the next few months so I took up taxi driving temporarily as a means of making a quick and easy income for however long I needed it and it served that purpose very well, except that I never did get a job in Geology. Whilst busy job hunting, a friend whose children I babysat for heard of an opportunity at his work as a trainee Software Engineer. I jumped at the chance as, even though it wasn't in geology, it was very logical thinking and I thought should use my newly acquired problem solving skills well. It turned out to be an excellent move and I went on to become a Software Engineer and worked for the company for 5 years. The company provided plenty of training at college and on the job. All the time I was learning I loved it, and I imagine that having got that elusive first job, I'll have a job for life in computers if I want it. In 2003 I left the company to have twin boys. They are now 2 1/2 years old and have provided such challenges that a whole different side of me is emerging! To be honest I don't think I could go back to exactly the same type of job as before, as after keeping one step ahead of two two year olds, writing software - even though it was for the Eurofighter weapons control system - seems rather boring! I'll update you again once the boys are at school in two years time! up with them soon to say hi! them...although I never thought I would miss the Isle of Wight! in Management Information Systems which I am really excited about. going to be a reunion in 2006? Please give my regards to Mike C.
life couldn't be better for my wife and I here. I happened upon your address and thought i'd give you a brief update on what i've got up to since graduating from Portsmouth in 1997. Initially I worked as a mudlogger with Mark Wilcoxon etc in places like Thailand, Bangladesh and Venezuela for a 2/3 years. After some further travels for a year I came back to the UK and was employed by an Italian mining company in their import and sales division based in London. In 2006 with a colleague we started a company 'Techfil (Europe) Ltd' specialising in the import of industrial minerals from the USA and Europe and worldwide export. I'm still in contact with Mark and Rick Buckley, although catching up with Mark has become difficult since he was extradited to Argentina! largest truck, because I didn't see it. and trundle all over them in an excavator. glider ramp in case I change my mind. into the industry of the calibre of the Portsmouth graduates. Pompey pedigree - all of which are amongst the best. It is very disappointing to see the AEG course disappear. get through a promotion board and an hour's worth of tests to get it. Have you heard from anyone else who graduated 1997? Is Jim Collinson still working on oil rigs? I am up to now. with major minerals and waste planning applications. time I think I know where I am going! relevant form to fill in? leave which may be of interest to this year's graduates. Consulting and have enjoyed working with them for the last 18 months or so. particularly interesting in the lead up to the enforcement of the landfill directive in July. It is all quite exciting at the moment. verbally offered an attractive position with them. Attached is an updated version of my CV for your records and interest. visiting my sister in Brighton. I trust things are well with you and Pompey students are as fun as ever!!!!! address so I will keep in touch. Petroleum Development Oman (PDO), so far everything is going smooth . Just thought I’d drop you a line after seeing your article in Geoscience. I graduated back in 1997 and immediately set off for Africa to work in the mineral exploration industry to start to pay off the happy university days. I found work very easily in Mwanza, Tanzania and commenced working for Ashanti Goldfields. I was given a team of local field assistant’s and a Landcruiser and headed off into the bush for months at a time, with the remit to find gold! All very exciting. I stayed in Tanzania for two years before getting caught up in the ‘Ashanti Hedging Disaster’ and a rapidly falling gold price before coming home to the UK to find work. I found an obscure job with Yahoo in London and stayed there very happily for 5 years, enjoying London life and the healthy corporate pay structure. During this time I got married and bought a house in Berkhamsted, Hertfordshire. By coincidence I found employment with a geological consultancy, ACA Howe International, who is based in Berkhamsted. Making the change back in geology has proved to be a great decision. I am now working back in the mineral exploration industry exploring for base and precious metals all around the world for a wide selection of mining companies. The core of our business is to complete technical Competent Persons Reports’, which are independent reviews of the company’s exploration assets, typically in lieu of an Exchange Listing (AIM or TSX). Over the years I have travelled to many wonderfully remote and exotic places all in the name of exploration! There’s never a dull moment in this job, as you never know where you’ll be sent next, and what technical geological challenge lies around the next corner. Galen White recently joined ACA Howe who graduated in geology from Portsmouth in 1996. Mark Butcher joined us in the autumn after finishing his BSc and MSc from Portsmouth’s geography department and he now manages our GIS capabilities. Between the three of us we represent an outlier of Portsmouth’s graduated talent! Attached is a recent photo from when I was in Chile. round the world race that starts this September. - La Rochelle then back to Southampton. being away from the industry? Well - after spending the Summer/Autumn back in Hereford with my hands up chickens arses and planning on travelling to Australia I ended up taking a job as a Mudlogger with International Logging in December 1997. The Interview was held with Stag Geological Services Ltd (Bob Fagg - Graduate 1972), and I initially got sent to live in Thailand for 18 months, working in Thailand, Bangladesh & Japan, but mainly travelling around with other poor sods who got dumped in Thailand(!) including other Portsmouth Graduates (Eddie Blackmore & Malcolm Middleton, also 1997, James Drury 1995? ?, Ollie Owens (AEG1997)). After the demise in work some of us got sent to Venezuela in Spring 1999, including myself & Eddie, where my love for the South America began. I continued to live in Maracaibo after meeting my wife-to-be, working between Venezuela & Trinidad, until Dec 2002, when my wife-to-be got transferred to Rio de Janeiro, Brasil (so I just had to go along with her!! ), and after getting married and several more years of working in Trinidad & West Africa I managed to get some work in Brasil just as my first Son was born and then I realised that after turning 30 and having a family I needed to change my job, so after contacting Stag again, I did a couple of courses & they eventually found me some work as a Consultant Wellsite Geologist for Chevron in Angola where I have been since March 2006. After my second Son was born my Wife decided that she'd had enough of working so we recently moved (no more company paid accommodation etc etc) to just outside Buenos Aires, Argentina (where my Wife is from), and in the process of buying a house - moving in January 2008. On my last hitch here I was chatting to a fellow Geologist who also graduated at Portsmouth (Dave Mellings 1975) - who mentioned this website - so here I am. Would be good to hear from other Graduates of 1997, I nearly bumped into Dan James when he was planning a trip to South America but believe we were on opposite continents when it happened. I try and make it back to UK when I can, but now with the family and the chore of air-travel our trips will be less frequent. Just received an email from Eddie mentioning his expertise on pumice amongst other things... I'm still working as a Consultant Wellsite Geologist for Chevron in Angola but for how much longer is to be seen - company politics and immigration procedures becoming a bind... just trying to hang in there until something else comes up. We did end up buying a house just outside Buenos Aires and I now have a 3rd Son to add to the list - Harry was born in January this year - another healthy boy. My trips back to the UK are getting fewer and what with airport security and long flights I can't see that changing much - all the same I'll not forget my roots! After three years of being a thorn in the side of nearly every faculty in the University of Portsmouth, as well as causing the geology department countless headaches, I thought you might be interested in what I'm doing with myself now. I finished my student life with grand thoughts of finishing my VW van and surfing the summer away in as many exotic places as my loans would take me. Unfortunately, I was offered a job on the eve of my departure, and have now been working solidly for nearly five months as a Software Engineer. I think that I should take this opportunity to apologise for the appalling amount of effort I put in throughout my Portsmouth years. With the benefit of hindsight and a slightly different perspective upon 'work', I think that although I had an excellent time, I really should have achieved a little more academically. I would be extremely grateful if you would pass on my thanks to the rest of the department for a superb three years, as well as managing to get me past the finish line in only three years! At the moment, I am working on a multimillion-pound software project for GEC. They are based in Southampton. when I'm down south I'll pop in and say hello. It's Simon Ball here (AEG Grad 1998). Hope you are well and things are alright at Portsmouth Uni. qualities and the course coverage. it would be gratefully received. spent three years learning how to do. Good to hear from you Nick - working on a Sunday eh!?! did put the invite out to everyone I could get hold of. much more experienced people from Entec and 5 other Env Companies. I start on the 24th June. I'll pass the e-mail on to everyone I know. No problem using the Burnaby Bandits...that's what it's there for! The interesting thing will be for people to spot the three characters who aren't from Burnaby (I didn't have enough faces to superimpose them all). Well, as for me, I graduated from B.Sc. Geology in 1998, then stuck around at Portsmouth doing a part-time, self-funded Ph.D. on chitinozoan biostratigraphy in the Middle East and North America. As money was always tight, I took various periods of time out to earn some money doing a variety of random things, and finally finished November 2005. It seems to have been worth it though, as I now have a two year fully-funded postdoc. (again, at Portsmouth) working once more on chitinozoan biostrat. on drill cores from Libya, funded by the Italian oil company ENI. Once that finishes, who knows? I'd like to stay on in academia, but depending on the market (and the fact that biostratigraphers are in quite high demand, for once!) I may venture into industry. Well done for all your efforts on the website, and it's good to see more and more posts appearing. Hmmm where to start... at the beginning is the best place I suppose. issues to me too, I sympathise with you. do a Basic skills adult trainingteaching certificate. hopefully that will change in time. was completely different to how you knew me at Uni., but hopefully for the better, ha ha. you have any email addresses etc of anyone I would love to have them. be back and see the old haunts! What a great surprise to hear from you!! Hope you are well. Just got back from go-carting in Gosport, I think I'm going to be sore in the morning!! Let me know what you're up to these days and any new tales from Burnaby!! If you do get a reunion arranged please let me know. thanks for the email, sorry i've been so slack about returning it! Its great to see what everyone else has been up to since leaving Portsmouth. trip to Hong Kong at the end of it. Thanks for the breakdown of the degree course. Just to keep you informed of my career. etc.) of the project as part of the environmental management team. and Essex sides of the river included for the associated works. get into it (if you want it). Snook House, 66 Tilehurst Road, Reading. RG30 2JH. Tel 0118 950 8777. Fax 0118 950 8198. Seeking funding if you know of any one?. I can send proposal, costings etc if you like.?? Thanks for the reminder, I needed it, things have quieten down now. Ok I’ll rack my brain back to the beginning of my working career after I graduated as a geologist from Portsmouth Uni in 99. To be honest I didn’t have a specific career path in mind when I left, I did want to work in Geology and I enjoyed mapping, so I thought of starting in exploration geology or something similar. So with a few contacts I headed out to South Africa to look for work in mining and exploration which there seemed to be a bit of work in at the time. However not long after I got there my dreams and ideas of what the work was going to be like in that industry were shattered and feeling a bit deflated I made the decision to not even start working in mining and come up with another plan. Shortly after I got involved with a trans Atlantic yacht race from Cape Town to Rio de Janeiro, I was the sail setter onboard and the navigator just happened to be a marine geophysicist and the director of an offshore geophysics company in Bath in the UK. We were on the same shift at night and after establishing our mutual link of geology we spent the next four weeks sailing across the Southern Atlantic talking about the principles of geophysics, marine geology and generally the sort of work they did whilst scribbling diagrams on the backs of magazines. After landing in Brazil we embarked on a canoe expedition through central Amazon, after this trip, Kevin checked his e-mail in a tiny town in the middle of nowhere to find that his company had just won the biggest project they’d had to date and needed to get back ASAP. It was Friday morning in a town called Manaus and Kevin looked at me said ‘ if you can help me get back to London for Monday morning I’ll get you a job as a geophysicist’. It wasn’t how I thought my career would start but the race was on and after an unbelievable journey through brazil, which included us running from corrupt Brazilian police after someone tried to plant drugs on us, we eventually made it back to London. Still with Paraná blood on my shorts I met the other directors of the company who greeted me with open arms and said ‘now Will, Kevin tells me you can drive a boat’. Before I knew my plane tickets were booked and I flew to Belgium to relieve the skipper on a survey vessel who had injured his hand. The job was surveying all the industrial canals of southern Belgium, one of the greatest jobs I’ve ever done, white wine and prawns for lunch and every night staying in a beautiful Belgian Cottage. All I had to do was negotiate the hundred of locks scattered up and down the country and try and learn what I could from the geos on board. From then on in I went from one job to another all offshore work for the oil and gas industry but mainly for the fibre optic cable laying industry. I was a marine geophysicist working in the high resolution world of marine analogue geophysics which in my case meant telling someone what the bathymetry, morphology and composition of the seabed is, as well as the shallow geology up to around 200m below the seabed for anyone that would pay us. Alot of people think that we are the same guys that look for oil and gas, but those guys are looking down to 10km below the seabed where as we are concentrating our efforts in the top 200m. We are usually working with engineers installing subsea structures, drilling rigs, pipelines and communication cables so they need know not only the engineering properties of the soils but also looking geohazards like shallow gas and faulting e.t.c. The work became more and more interesting and as I learnt how to use all the various equipment and start interpreting the data to eventually advise someone what the geology of a particular area was I really started to enjoy it. Soon big jobs were coming in including one where they wanted to lay a fibre optic cable around the Pacific ring of fire linking up America, Russia, Japan, Taiwan, Hawaii and Mexico. It was busy though, in the first year I took 52 separate flights and worked in 14 different countries including Africa, Panama, Japan, Belgium, Columbian, Australia, Taiwan, Chian, South Korea, Scotland to mention a few and my second year wasn’t much different. We started winning more and more work in west Africa and after a some pretty hairy experiences involving Pirates in the mangroves swamps of Nigeria enough was enough and I needed a change of life style. In the few years I worked for SAGE Eningeering they were bought out by a bigger firm and I was able to transfer to Western Australia in 2002 where I have been living ever since. Life is certainly not as exciting now, the majority of my work is in Australia so I see the same geology over and over but if life is all about balance this is pretty good. I now work about 3 months a year offshore, 6 months in the office and 3 months holiday and I’m married and have a 1 year old daughter and we live 1 mile from the beach and I even manage to squeeze in a surf in the mornings before work with my colleagues when I’m back. In Australia we are working predominantly for the booming oil and gas sector here. There is still a lot of unmapped areas of the sea floor in Australia and we do come across large features that nobody has seen before and then working with teams of people to negotiate these obstacles is interesting work and on nice boats with Australian crew in usually beautiful areas. It’s funny though, during my degree I thought I would be studying volcanoes for a living and now I’m basically a sedimentologist, but even though the geology I look at doesn’t back much further than the Miocene I still get alot of enjoyment out of linking buried river channels 200km offshore with active ones on land, finding huge sand bank formations 15m high, extensive deep water coral reef systems, huge debris and turbidity flows and canyons that nobody has been into before. Another thing I get from my work is that people actually use the interpretations that I make and want to discuss the finding in detail to find a solution to a problem which gives you a great sense of purpose. These days I’m doing a bit less offshore and getting more involved with the overall project management of the job which has different challenges but I’m keen to make sure I’m never too far away from the coal face. Well Brian like I say, I hope everyone at Portsmouth is in good shape, it was a great degree and although I didn’t do much geophysics it give me a really good frame work and understanding of the principles of sedimentology and stratigraphy which is the most important thing to have in this job. covered in project work at A Level and degree. Oh well! getting around to things such as that and this E-mail difficult! I'll see you at graduation anyway - take care. Just read about your site in Geoscientist! Love the Burnaby Bandits! I have done nothing to do with Geology since graduating in 1999. Have worked for HSBC since 1999 and am now a Service and Sales Manager based in South Midlands. I still keep in touch with quite a lot of people from my year - everyone I know is getting on well, but only a few have jobs related to their degrees! Hope the site is successful - is good to know how fellow Pompeytonians get on! Great photo of the bandits. I was on the first Palaeobiology and Evolution course and graduated in 1999. I had a fantastic time and would recommend it to anyone. I'm still in touch with Palaeo Jo Carrington (environmental type at local council), and AEG Mark Davies (just left the Environment Agency to move to New Zealand as an environmental consultant. I then went onto do a masters in hydrogeology in Birmingham and graduated in 2001. I've been working as a hydrogeologist at Golder Associates in Nottingham ever since, and will shortly be spending a couple of years in the Golder Jacksonville (Florida) office for a couple of years as a contaminant hydrogeologist. Its a hard life but someone has to do it. I also got married this year .... to an ex applied environmental geology student, Brendan Young. It would be great to here from any of the other guys who graduated in 1999.